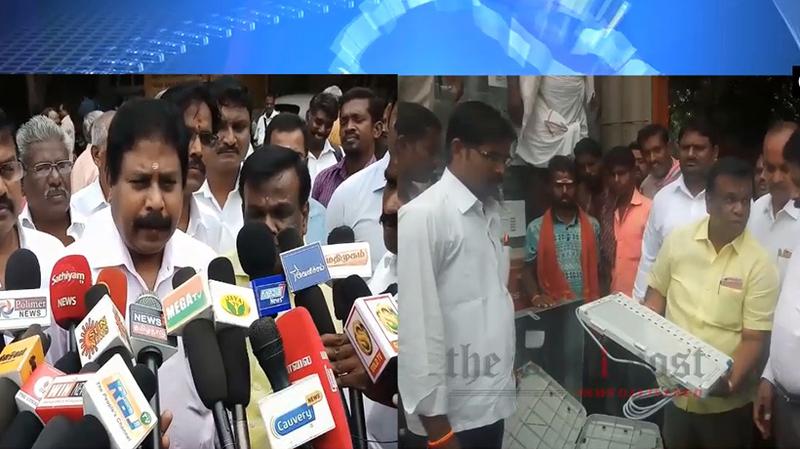 Coimbatore : The Election Commission has sent 7,370 EVMs for use in Coimbatore district. After inspection of the voting machines, District Collector T N Hariharan said the container with the EVMs and along with 4,000 control units was opened in the presence of representatives of recognised political parties today. The machines were sent from BEL, Bengaluru, and had been kept in safe custody in the strong room of Deputy Director of Health in the city and there would be 24×7 security, he added.